Marc Pritchard is the CMO of P&G and has increasingly laid claim to leading the charge to clean up digital advertising. We discussed his previous mandates (https://www.liftletters.com/all-letters/2017/9/11/the-pg-mandates) in an earlier Lift Letter. Recently, at Dmexco, he took the stage again to further advance his agenda of moving advertising forward. These are bold goals, though they are also basically the same that he announced at the IAB meeting earlier this year. His point at this meeting, however, is that once these baseline standards are accomplished, you have to actually think about the ad experience itself. His speech was an explicit admission that much of advertising today is annoying, and this needs to improve to actually have effective advertising. This includes more contextually appropriate ads - meaning 30-second spots may not be appropriate in social contexts, and generally thinking more about the best way to connect with the consumer. A key element of annoying ads is the frequency with which they were served. Pritchard describes this form of waste as "excess frequency" - showing the same user an ad too many times. By introducing third party verification - P&G found that the same users were shown ads too many times. This has the duplicative effective of wasting ad dollars and annoying their customers. This is an area they are actively working to address. The targets are explicitly large digital companies that "grade their own homework" (Facebook and Google primarily) with the increased requirement of 3rd party verification. Regarding fraud, P&G remains committed to TAG certification. They also simply stopped buying traffic from the long-tail of websites - their conclusion being that they were too full of bots to be worth the lower cost of media. For brand safety, P&G simply cut $100M of spend that they couldn't be sure would be brand safe. Despite their cut, they hit their targets - meaning that contexts that are not brand safe, or cannot be assured of being brand safe, may simply have less of a place in their media budget going forward. This is especially important to Google given the uproar over YouTube this year and what this likely implies. 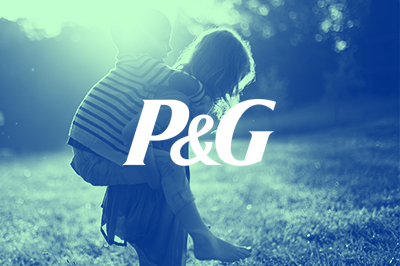 P&G also announced a new focus on identity-based advertising. This means using mass-scale campaigns and targeting the message to the individual based on AI. Arguably this is what brands should already be doing, but the emphasis signifies a never level of investment by P&G and an opportunity for technology companies (e.g. marketing clouds) that can create this experience. This speech also focused significantly on the P&G's focus on gender equality. It's easy to be cynical about a brand when it comes to high-minded ideas like this. That said, his speech contained important data including the fact that advertising that portrays the genders as equal quantitatively outperforms on average (not always). It is also the case that gender equality, with a special focus on increasing the number of female STEM graduates, will have a materially positive impact on the global economy - increasing how much people have to spend and thus how much they buy. This, in turn, would be good for P&G (assuming they keep their market share). Thus the point is, even if it's just a marketing ploy by P&G to speak to gender equality, they have bona fide economic incentives to push their marketing messages towards gender equality, and they will be doing so. The thrust of Marc Pritchard's speech can be distilled into a few relatively intuitive components: the media needs to be effectively reaching the consumer, the advertising to be appropriate - meaning both good for the brand and good for the consumer; and the content of the advertising should, when possible, be a force for good because a rising tide lifts all boats. From the advertising and marketing technology perspectives, this speaks to a number of interesting opportunities. Understanding the consumer (this company won P&G's startup competition at Dmexco: http://opinary.com/en/), speaking with the right message to the consumer (e.g. Olay Skin Advisor understanding the consumer and giving the right product advice: https://www.olay.com/en-us/?skinadvisor=page&mbid_relatedlink - my skin age is 42), and ensuring brand safety - especially in UGC contexts - will all be huge opportunities in the next few years.